Do you have a Playseat® gaming chair and want to prevent any damages to your floor? With the Playseat® Floor Mat XL you don't have to worry about a thing! This mat has an antislip layer on the underside to keep your chair in place, even during the most intense gaming sessions. 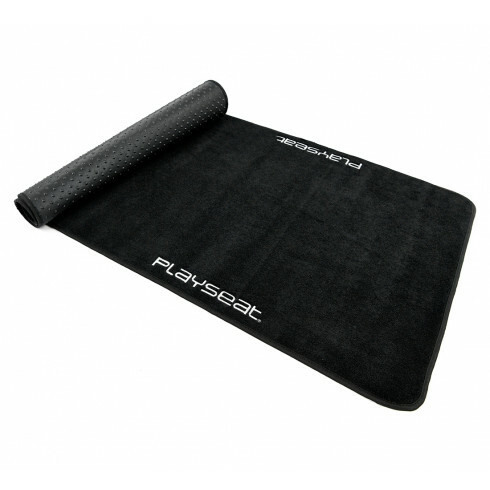 The Playseat® Floor Mat XL features Playseat® logo's on the upside. This XL version of the Playseat® Floor Mat is a lot bigger and can be used with all Playseat® gaming chairs. Especially suited for the Playseat® Sensation Pro models. Cercavo un tappeto per la mia postazione F1. Ho scelto Playseat perché sapevo che i materiali che utilizzano sono ottimi. E infatti la fiducia riposta non è stata trafita. Misura perfetta, spesso, solido, con un perfetto findo antiscivolo e con le due scritte Playseat che danno quel tocco in più.